The legend of Raistlin's daughter! A strange story that cannot be confirmed, yet it is whispered among the elves of Silvanesti, gossiped about by the kender of Krynn, and told here for the first time by Caramon, the enigmatic mage's surviving twin. A wondrous new novella journeying into secrets of the heart and rumors about the past that have bearing on the future of Krynn. 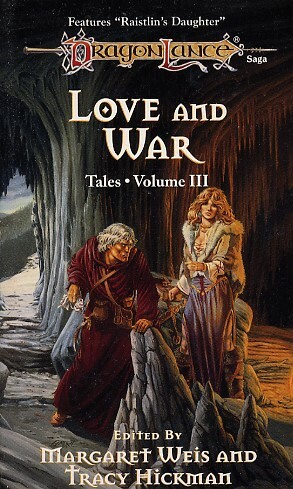 Plus ten exciting short stories -- untold tales of chivalry and affection, heroic quests and foul villainy, magic in battle and transcendent defeat -- featuring all the beloved companions and fantastical creatures of the best-selling DRAGONLANCE� Saga.